Intrusta is relatively new to the security market but it’s already a winner on our list. They’ve ticked every box and then some, giving the big names in the industry, stiff competition. The team behind Intrusta has managed to deliver an effective, clean-cut service in a user-friendly package – everything you need to keep your digital identity safe and your computer and devices malware-free. Eliminating the technical jargon that can make a user feel lost, and at times vulnerable, Intrusta has succeeded in building a comprehensive, transparent, user-friendly security suite, that delivers in aces. Read on to find out more about the security suite. The multi-device suite, the affordable pricing structure and the on-point customer service makes it one of the best products available today. Intrusta is one of the easiest suites to set up. 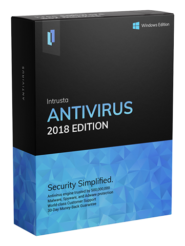 With an antivirus engine that is already used by 500,000,000 devices, there is no complicated maneuvering or specialization needed to setup, install or use the suite. All you need is a Windows version 7 or higher device, the latest versions of Microsoft, Mozilla or Chrome browsers and 300MB of HDD space. The suites are compatible with up to 5 Windows devices. They also have a great 30-day money back guarantee. We rate products that are easy-to-use, highly, and Intrusta scores full points here. From installation to consistently protecting your computer, Intrusta is simple to use and is very user-friendly. The Intrusta software is very lightweight unlike other products that consume RAM and eat into your battery leaving your system struggling to cope. Intrusta focuses on the bare essentials and fulfills the main purpose efficiently. 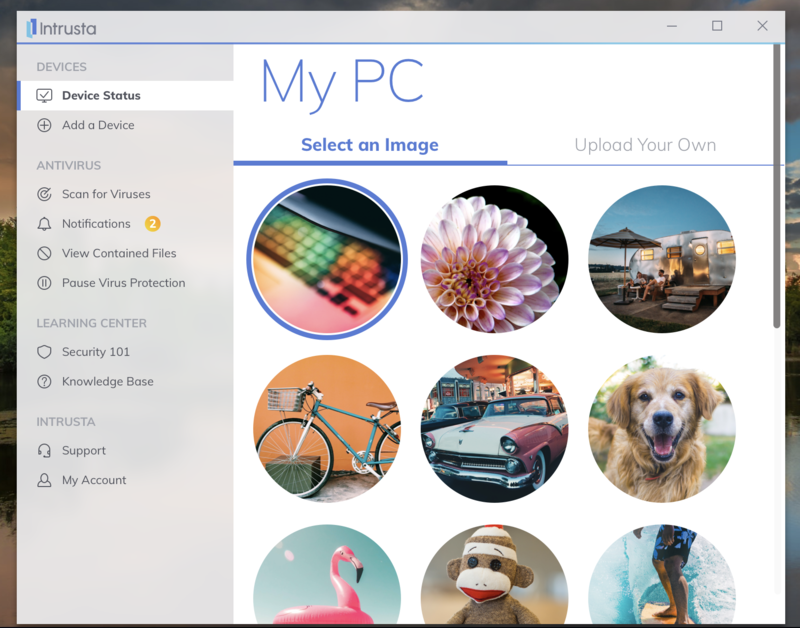 Securing your computer against viruses, malware, spyware, and adware, Intrusta keeps it simple, by allowing you to assign pictures for every device you wish to protect, making it easy for you to keep track. All the features are consistent across the board. No matter which plan you buy for any number of devices, you get the following features. Anti-Malware: This tool protects all your devices from all types of malware existing and new. Anti-Ransomware: The advanced anti-ransomware protection stops existing and emerging attacks that could encrypt your files and force you to pay to retrieve them. Anti-Spyware: Intrusta manages to catch sneaky, malicious software well before it can gather your financial information and wreak havoc on your credit. Anti-Adware: The anti-adware engine blocks unauthorized downloads from advertisers, which simply sits on your system resulting in bloatware and eventually slowing down your device. 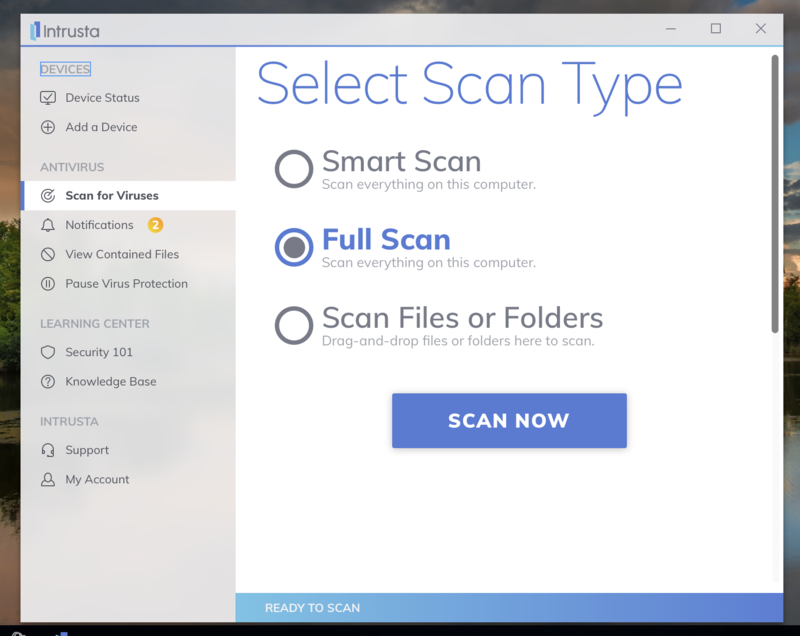 Intrusta allows you to scan either your full device or only certain files and folders that you suspect could be compromised or infected. See the screenshot below. Since Intrusta is a new entry in the digital security market, we were understandably quite unsure about the technology they employ and if it would do the needful effectively. But Intrusta employs the same technology used to protect 500,000,000 devices and does so effortlessly. To keep users in touch with the happenings in security, Intrusta provides information on the latest in malware and keeps customers updated with the latest in Intrusta’s technology. Understanding that all their customers would not be tech-savvy, they have attempted to keep things simple, so absolutely anyone can keep their identity and devices safe. Intrusta has three plans which are – $24.99 for one device which renews annually for $49.99; $34.99 for 3 devices which renews annually for $64.99 and $44.99 for 5 devices which renews annually for $79.99. 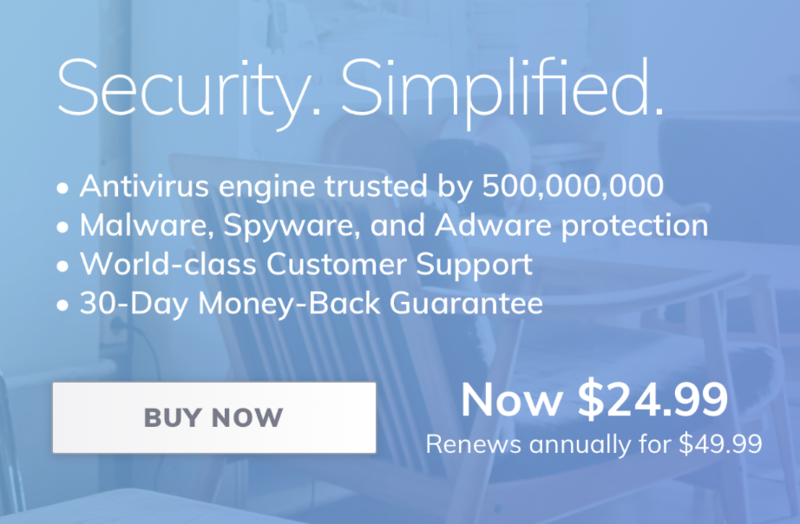 The general agenda of most antivirus providers is very low introductory offers followed by a drastic increase in price when the subscription needs to be renewed. Resorting to none of these tactics, Intrusta has discounted the first year of service offer an introductory first year for new customers. After the first year is up the prices do not go up by much making it a great choice of security suite. Intrusta, refreshingly, does not have any hidden charges or gimmicky worded fine-print conditions. It is easy to buy, cancel and uninstall any of their suites, without having to maneuver through technical loopholes. Intrusta’s customer support agents are knowledgeable, quick to respond and adept. Customer service is via phone, chat or email. They also have a live chat feature, so any problem can be solved immediately and professionally. Communicating with them is a breeze. Call them on 855-858-5808 or leave a query on their “Submit a request” page. You don’t need to jump through hoops to get help, it’s instant and easy. Intrusta is an easy-to-use product, which is one of its strongest points. When digital security right now is so essential, you want something that is good to go right out of the box and Intrusta offers this in spades. The multi-device suites, the affordable pricing structure and the on-point customer service makes it one of the most competitive products available today. 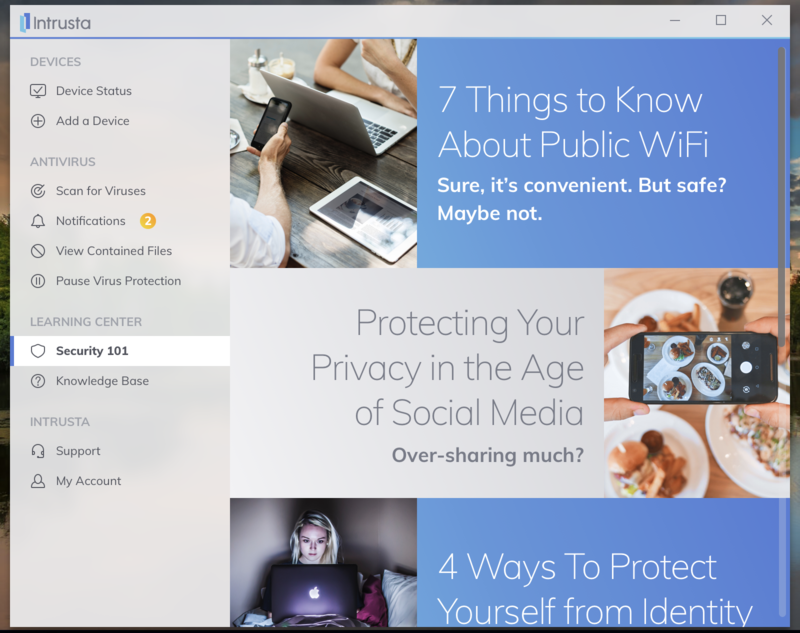 Available on Windows for now and soon to be available on Mac and mobile phones, it’s a great choice for someone who isn’t really tech-savvy, is on a budget but still needs top-notch security for their devices. What we find great is the fact that Intrusta offers a 30-day money back guarantee if you aren’t satisfied with the protection they offer. Win! Win!